The Rajasthan Jail Prahari 2017 Admit Cards have been released by the Sardar Patel University of Police, Security and Criminal Justice, Jodhpur on its official website policeuniversity.ac.in. Jail Department of Rajasthan is scheduled to conduct the written examination of Jail Prahari Recruitment from 26th August to 14th September 2017. The Jail Prahari recruitment notification was earlier announced in 2015, but the examination got canceled. Then, in 2017 the university again issued the notification regarding the recruitment. The written examination of Jail Warder Recruitment 2015 being organized by the Sardar Patel Police Security and Judicial Justice University, will be a computer-based examination (online) with three sessions on each day. The Sardar Patel University of Police, Security, and Criminal Justice is a State University located in Jodhpur, Rajasthan, India. 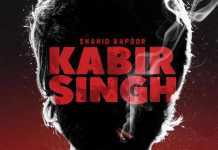 It was established in 2012 by the Government of Rajasthan through the Sardar Patel University of Police, Security, and Criminal Justice, Jodhpur Act, 2012. Their mission is to create an academic center for excellence dedicated to the study, research and extension activities in the realm of Policing, Security and Criminal Justice where professionals, academicians, and young citizen work together to achieve understanding, knowledge, and skills required to attain the highest ideals of public service and democratic citizenship. 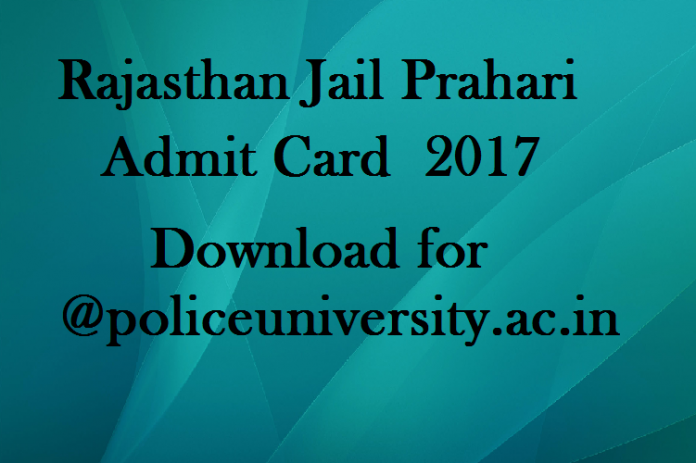 How to Check Rajasthan Jail Prahari Admit Card 2017? The Candidates who had registered for the same can download the Rajasthan Jail Prahari 2017 Admit Card from the official website by following the instructions given above.